Biking: the Most “Functional” Exercise of All? One of the biggest selling points of CrossFit is the “functional exercise” line. Basically, functional exercise is exercise that prepares you for real life. For example, it’s not functional to do a lot of isolation exercises for just your forearms, because in real life, people rarely need to lift very heavy things with just their forearms. That exercise doesn’t train the kind of strength you’re actually going to need. Working the forearms might be very important for a specific sport, like bodybuilding. But most people aren’t going to the gym to train for a specific sport. So for the average Joe and Jane, workouts should focus on exercise that actually has some carryover to the things they’ll need to do in real life. According to the principles of functional exercise, your time would be better spent doing an exercise like back squats. A back squat trains the muscles you’ll need to use every time you pick something up off the floor. It improves flexibility and balance. 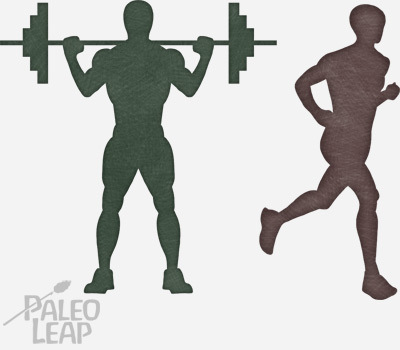 The movement pattern of a squat has real-life applications and real-life benefits. Functional exercise is an intelligent and reasonable way to approach the gym for people who aren’t training for a particular sport. But what if you took the concept of “functional exercise” even further? Why do we Need to Separate Exercise from Life? Functional exercise prepares you for life. But “exercise that prepares you for life” is still assuming that “exercise” and “life” are separate categories. You’re a human being with a “life” that might involve a job and a family and sometimes the need to move boxes or lift coffee tables or unload heavy things from your car. Sometimes you take a break from that “life” and go do some “exercise” in the gym. “Exercise” might have very significant benefits for the rest of your life (that’s why it’s “functional”), but it’s a separate thing with its own separate time and space. 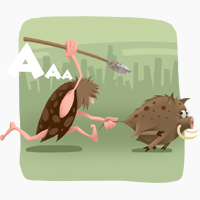 That’s definitely not how our ancestors in the Paleolithic did it. For them, there was no such thing as “exercise” in the sense of going to a separate facility and doing movements with no immediate practical use. There was just moving around as part of meaningful activities – hunting, gathering, other chores, social activities like dancing. Some people still live this way. The Hadza, a population of traditional hunter-gatherers in Tanzania, walk several miles every day just from doing all their typical daily activities. That’s a lot of movement, but none of it is “exercise” in the sense of going to the gym. It’s just movement required to get things done. If a barbell squat is “functional” because the benefits carry over to everyday life, then walking to find food is even more “functional,” because it’s even more entwined with “real life.” For the Hadza, movement doesn’t just have benefits for “life;” the movement is part of life. Instead of saying that the Hadza “exercise a lot,” it would be more accurate to say that they have a movement-enriched life. It’s the next step up from functional exercise: exercise so functional it isn’t even “exercise” any longer. One of the biggest benefits of a movement-enriched life is sustainability. If your way of life incorporates movement seamlessly into everyday activities, there’s no need to “find time” for the gym. There’s no need to find motivation to be active, because there’s no “motivation” involved. This is just how you live; it’s just what you do. It’s not something that needs motivating. It’s a habit. So you get all the benefits of gentle “exercise” without having to find the time and motivation to “exercise” at all, because the “exercise” is just your life. In Canadian adults, biking to work or school is associated with lower markers of inflammation, lower cholesterol, better blood sugar control, and lower BMI. A meta-analysis also found that active commuting (walking or biking) reduced cardiovascular risk, especially in women. This review found that the benefits may be especially significant for people middle-aged and older. You can do this in the gym and also hop on a bike to run errands instead of driving. There’s no conflict. Great! Keep going! There’s absolutely no reason why you have to stop going to the gym because you also added some more movement to the rest of your life. It’s not an either/or choice. You can do both, and get the benefits of both: a constant, low level of movement that doesn’t take any motivation or time-finding, plus regular gym visits and whatever you get out them (stress relief, joy, satisfaction at beating your own PRs, whatever). If anything, extra gentle movement at other times will probably help you out in the gym, because it will keep your blood flowing throughout the day and prevent your muscles from getting stiff in between workouts. What do Bikes Have to Do with This? Whether or not you choose to do “exercise” in the gym sense on top of it, a movement-enriched life is a gentle and sustainable way to avoid the health problems of being sedentary. But we all live in a world set up to avoid movement wherever possible. A bike is one way to get around that and add some movement back into your life. Riding a bike isn’t just movement that prepares you for life. It’s movement that can be part of your life. It has practical value – you can use it to directly do the things you want or need to do. That’s what makes bike riding (arguably) even more functional than squats and kettlebells. On a bike, you can run errands in a non-sedentary way. You’re not “working out;” you’re just going to the post office (or the bank, or the library, or the grocery store). You’re doing things that are part of your life…by bicycle. On a bike, you can spend meaningful time with people you love, in a non-sedentary way. It’s not a “workout;” it’s family bonding time. Go for a leisurely ride around the neighborhood, at a pace slow enough that you can talk while you ride. Make it a regular weekend thing. A bike isn’t the perfect tool for everyone. Some people might prefer to walk, or skateboard, or hoverboard, or whatever else. Some people have mobility issues that prevent them from riding a bike. Some people just don’t like bikes, and that’s fine too. But a bike is one functional and practical way for a lot of people to make their life less sedentary and more movement-enriched. If you’ve never tried it, it’s probably not as scary as you think it is. Someone has to go first to break that cycle. Why not you? Most major cities in the US have some kind of active transit alliance or bike commuting organization. Lots of them have maps of bike-friendly streets and safety tips. Get in touch with yours and see what they can do for you! The idea that “exercise” is somehow separate from your “real life” is an invention of modern culture. That’s our cultural default right now, but we don’t have to live that way. Movement has many health benefits, but it doesn’t have to be “exercise” in the sense of going to the gym to do it. If you’re looking for “functional movement,” try looking for movement that actually fills a practical purpose in your life – like biking to the grocery store or the bank. It doesn’t get much more functional than that! Again, this isn’t a knock on gym exercise. Gyms offer a lot of equipment that can be helpful for mobility issues, building specific kinds of strength, or just plain fun. Some people actually like separating off “exercise” from the rest of their life, so they can leave all their problems at the door and just focus on sweating it out for an hour. If you like going to the gym, keep going! You can do that and cultivate a more movement-enriched life at the same time.